Thanksgiving dinner and holiday parties are just around the corner, which means your kitchen will be the busiest it’s been all year. If you’re hosting a holiday event in the coming months, your kitchen will need to be prepped and primed for festive—and chic—cooking and gathering. Afterall, your holiday menu deserves to be made in a spectacular space full of function, comfort and style. To ensure that you love cooking in your kitchen and that your event is a success, we’ve come up with all the décor essentials to get the heart of your home holiday-ready. Read on for five easy ways to refresh your kitchen for the most fabulous holiday get-together ever. Lighting has the biggest impact on the look and feel of a room. Make a stylish statement by updating your overhead lights with eye-catching pendants. 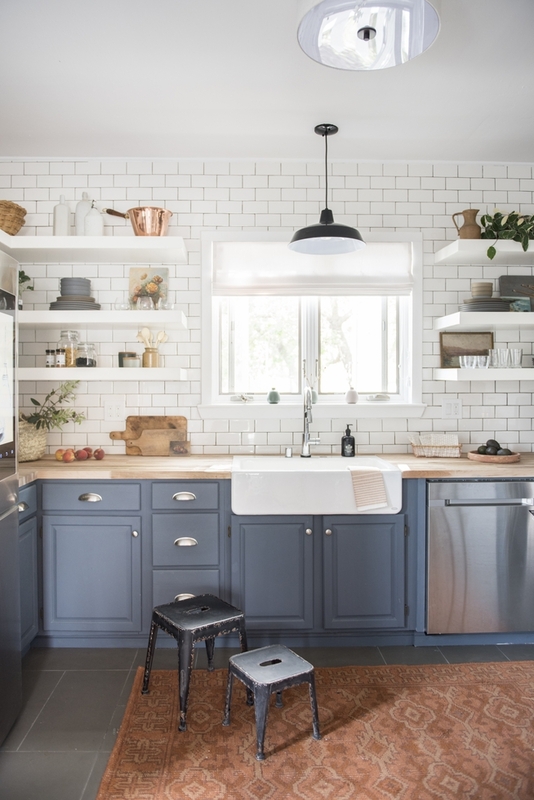 To give your kitchen a warm and inviting atmosphere, be sure to layer light sources by adding under cabinet lights and candles at varying heights. Soft lighting is a perfect choice for those evening get-togethers. 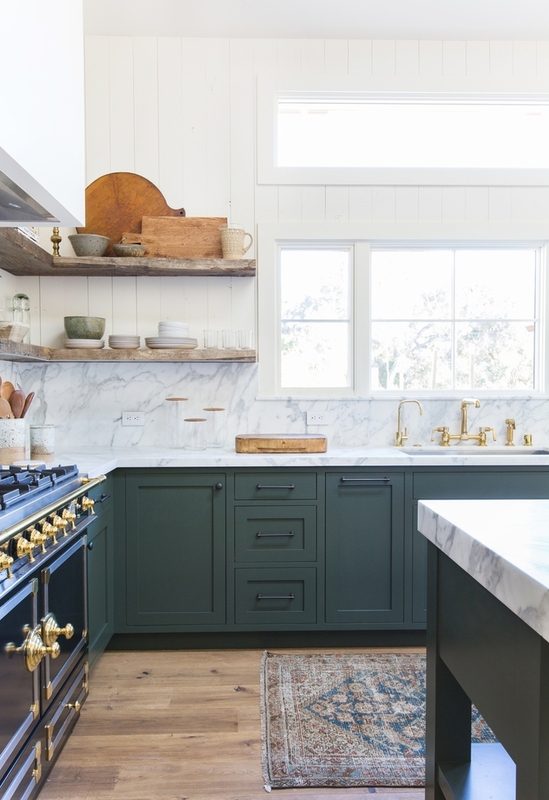 A quick and easy way to give your kitchen a fabulous facelift is by updating your hardware. Replace knobs, pulls and even faucets with new, modern ones. 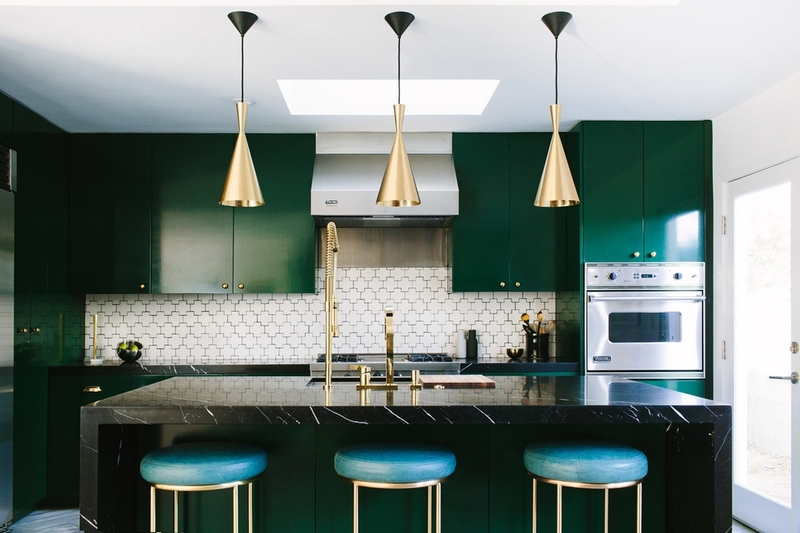 Try brass or matte black finishes for an updated look. This little trick will give your kitchen a major boost of luxury without breaking the bank. Whether it’s a Persian area rug or striped vinatge runner, nothing says cozy like a rug. 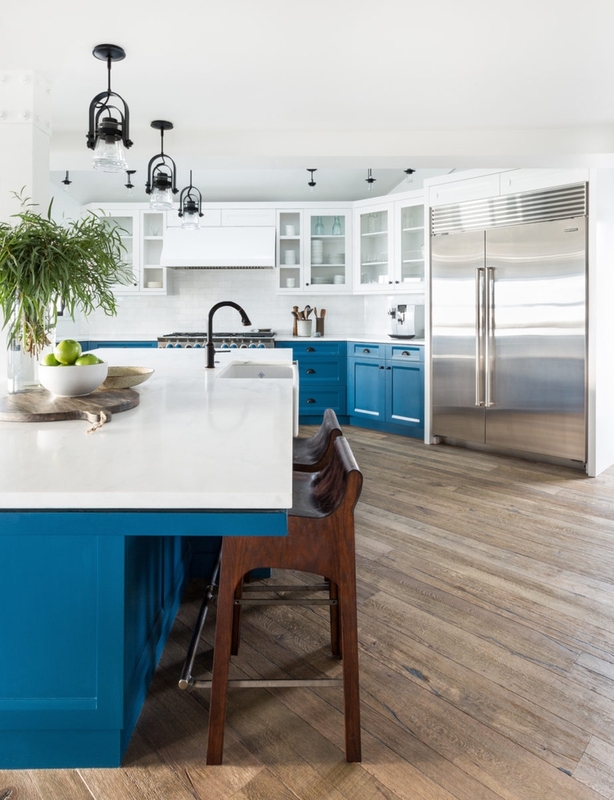 Add one to your kitchen floors as a way to incorporate some color and a cozy texture to your space—it’ll make for an incredibly warm and merry room. Put some bar stools in your kitchen so guests feel comfy cooking and gathering. More seating will make the space feel welcoming, family and friends get to help with the cooking. When it comes to large dinner preparations, you’ll love having the extra hand. Your kitchen is the heart of the home, so why not decorate with personal items? Add some panache to the walls, whether it’s your favorite art prints or framed family photos. Art-filled walls are sure to inject a snug and lived-in vibe to your kitchen, making it cheery, cozy and full of personality. Don’t leave your holiday decorating to the last minute! Start a today and turn your kitchen or any room in your home into a fabulous spot for hosting holiday parties. It’s simple, affordable and completely online. It's time to get started! Happy Decorating!